Whether you marched in step with My Chemical Romance's Black Parade or scoffed from afar at its merrily melancholic pomp and circumstance, you must credit Gerard Way for committing so relentlessly to the part. As MCR wound down, Way cut a curious figure. When I saw him onstage at a festival in 2011, he was going through the motions beneath a shock of pink hair and an overcast sky. The requisite marks were hit but the guy looked tired. Danger Days: The True Lives of the Fabulous Killjoys, a middling album lacking the ambition and invention of previous work, exhausted him. His band would hang on a little longer but they were spent as a creative force. 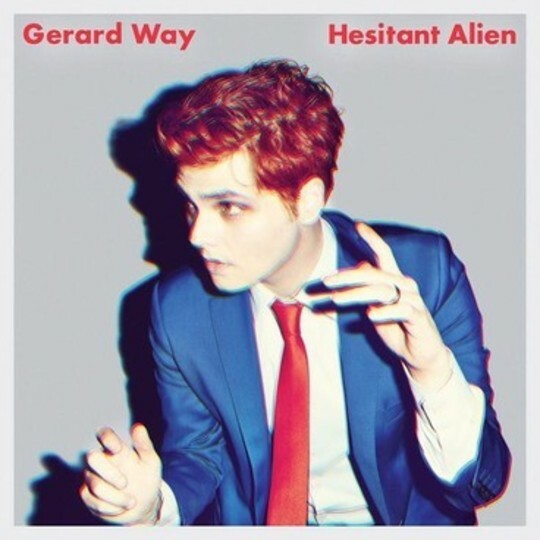 Now 38-years-old, Way has spoken of wanting 'to change the landscape of music a bit' with debut solo effort Hesitant Alien. 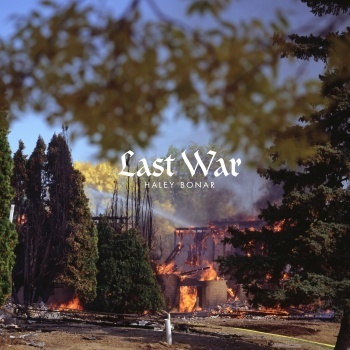 It's quite the bold statement, one made all the more curious when it becomes apparent that this record could easily fall under the My Chemical Romance banner. Pageantry is retained, as are pop sensibilities. Guitars play a prominent role. Distortion is employed as its own instrument. Though Way is at his most engaged in years, there's no major reinvention here. If anything, his first solitary missive registers as much as a tribute to influences as it does a focused reboot. In his quest to alter the current scene, Way has attempted to tap into and resurrect, of all things, Britpop. Given past ostentatious exploits, you'd be forgiven for expecting Hesitant Alien to paint in especially broad strokes, but the nods are often quite subtle and at no point does the narrative make way for Phil Daniels-esque caricatures. Instead, Way keeps things simple and spiky. 'Bureau' makes for a somewhat languid opener. It is, in essence, an intro. A call to arms, though a fairly tame one. Way hollers as guitars and drums clang around him but you picture those answering his signal (played out eventually to the sound of a UK ringing tone) stepping up in expertly-choreographed time, their practiced scowls buried under glitter. 'Bureau' isn't much of a song, but it's the closest Hesitant Alien comes to a musical number. In truth, it doesn't really fit what follows. The superbly-titled 'Action Cat' is an immediate anthem, one that successfully blends pop and shoegaze. Way has long had a fascination with fuzz pedals but never found a use for his collection during the My Chemical Romance years. With his former cohorts no longer around to object, he goes all in, creating a wall of noise that's worth the effort to break through. If you struggle with the occasionally-buried vocals, fair enough, it's by design. 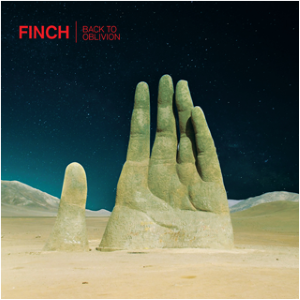 It's not exactly Alcest territory but it makes for one of the more interesting pop songs of the year. That said, there are times, both here and throughout the record, when the layers blur clumsily and you begin to question the mixing process. Nonetheless, you'd take songs like 'Action Cat' and 'No Shows', which masks relatively conventional hooks with further - ahem - alien vocals, over more straight-laced fare like 'Brother' and 'Millions'. To be fair, both songs boast strong choruses; most notably the former's shanty sing-a-long. They are guilty of saddling Hesitant Alien with a stop-start feel, however. 'Zero-Zero' gamely picks up the slack, imagining a venom-coated world where Pixies came up with 'Song 2'. It's here and a few minutes later when the breathless 'Juarez' takes over that Way and his new baby truly shine. He's at his best when punching out of a corner, chasing you down and demanding you listen close. Alas, as the strains - and boy, are they ever strained - of 'Drugstore Perfume' rise, it's evident that Way has punched himself out. He may have described it as his 'American "Common People"', but such an assessment is painfully wide of the mark. It's not that they're not in the same league. Such a cloying, MOR stumble cannot hope to even play the same game. It also marks the end of the road for Hesitant Alien from any meaningful point of view. The remainder is taken up with a clutch of forgettable efforts, some of which - closer 'Maya The Psychic' in particular - harken back to those listless final days of Way's former day job. It's a tremendous pity because his focused frenzy remains compelling. Less hesitant and more alien in the future, please.